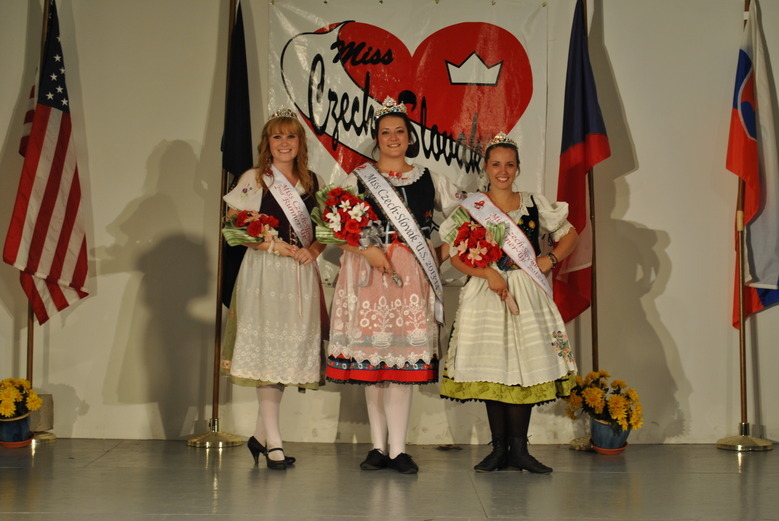 Anna Hand, representing Kansas, of Ellsworth, KS was crowned the 2013-14 Miss Czech-Slovak US Queen, she also was awarded the Americanized Kroj and Talent Runner-Up. She was also awarded a special educational scholarship donated by Dr. Cecelia Rokusek, Slovak Honorary Consul of Florida. Dr. Rokusek dedicates this scholarship to her parents John and Alicia “Fiala” Rokusek. Danielle Patzel representing Nebraska, of Lincoln, Nebraska was crowned the 2013 1st Runner-Up. Danielle also received the Authentic Kroj and Oratory Awards. Brittnay Smisek, representing Minnesota of Lonsdale, Minnesota was crowned 2013 2nd Runner-Up as well as Grand Talent Winner and Miss Congeniality. Katie Holman, representing Oklahoma of Oklahoma City, OK was awarded the Lois Fiala Spirit of the Czech/Slovak Heritage Award. This award is presented to the contestant who exhibits outstanding passion and dedication to her heritage. Jennifer Koll, representing Texas, of Lewisville, TX was awarded the Heritage Involvement Award. This award is presented to the contestant whom exhibits outstanding involvement as presented on her application. Dana Rozsypalkova representing Illinois, of Bartlett, IL was award the Sokol Talent Award for her Sokol Dance. 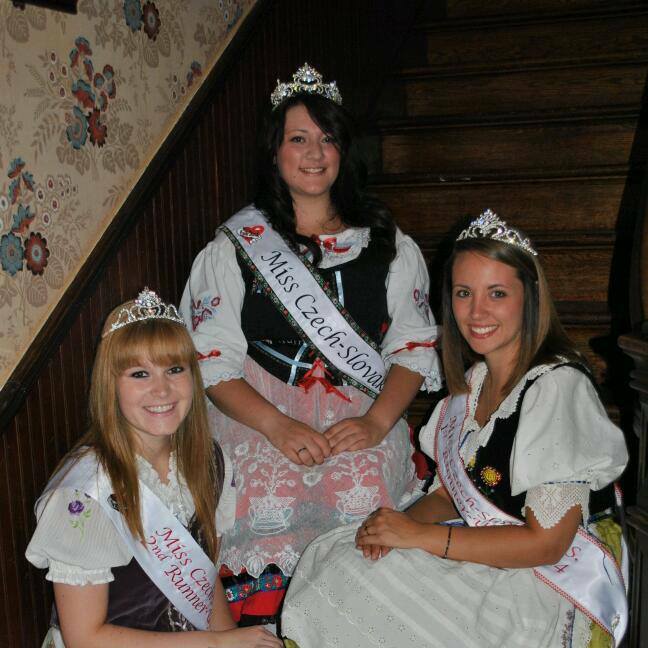 The pageant also had three additional outstanding contestants: Holly Stepanek, Iowa ; Raquel Sutera, South Dakota and Sheila Uhren, Wisconsin.